Wisdom of Life. 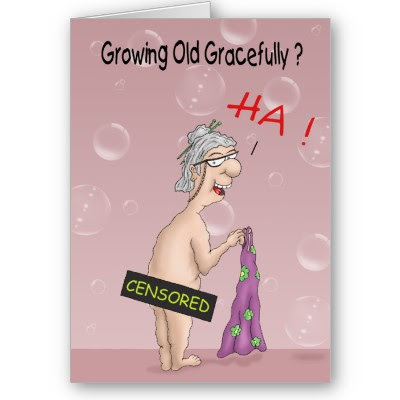 : Getting old could be a nuisance..... Unless! Getting old could be a nuisance!!! Try to avoid it at all cost. I have few old relatives and friends, in their sixties and above who face the following problems. They do nothing, eat a lot, sleep too much in the day and cause too much noise in the late night and early morning, and nag all the time in the house. Being retired, they have no work and have found no hobby. So the best way is to waste time by eating. The person who suffer could be the wife herself because she has to feed the old husband who always complained that he is hungry. After eating too much, the ideal way is to take short naps in between. They sleep early in the night but they get up too early in the morning. One old couple wake up at 3am, having nothing to do, they make noise to create attention. Non of their children like them to stay with them. One daughter in law said, "If you don't take your parents away tomorrow, I would leave the home!" See! No joke and it's true. With a poor hearing and a failing sight, they cannot control their patience and easily get upset and irritated most of the time. They only can talk about the past and they know nothing of the current because they have no desire to learn. Their children do not like to spend too much time with them because they said their parents nag and talk without any sense and logic. So sad to see them living under such situation. To me! I will try to avoid being a nuisance to my children. My philosophy is 'Getting Old﻿ is mandatory but Growing Up is optional'. Never have the thought to retire. Even if you don't have a career or a job, pick a hobby or create an interest which could keep you occupy most of the time. Growing up is challenging, when you should constantly prepare to learn and explore. When one is learning, the mind would expand which in turn keep us more alert and creative. Don't stop driving your car because driving keep us young and mobile. Eating is good but don't skip the exercise. Why sleep during the day, when you have the whole night for you later. I love sleeping and I need eight hours to restore my system. Sleeping time is 12 mid nite till eight in the morning when I don't disturb others. And that is also the best time to make love too. I don't nag my children but rather I motivate and inspire them. They are always amazed with my knowledge and wisdom because I add plenty of humour and joke into my sharing with them. Am I a nuisance to my family? Not at all! I make sure they love me till the end.